Having difficulty getting your little one to brush their teeth? Do you find yourself wishing there was something out there that could make the twice-daily routine fun? Well, wish no more! There’s an app for that. There’s actually plenty of apps for that. 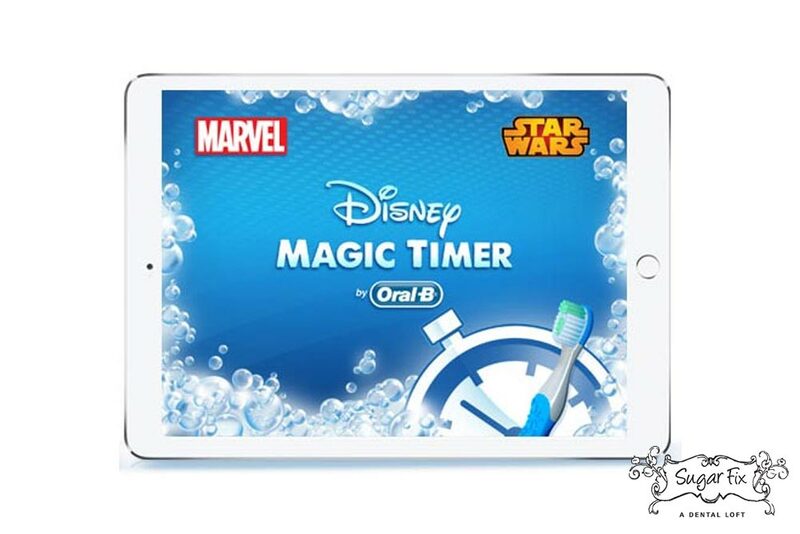 Oral-B offers their Disney Magic Timer app (iOS | Android) for free! Created for children ages six to eight, the Disney Magic Timer app not only gets your child to brush for longer amounts of time, it also includes videos that teach the correct way to brush teeth. The application not only boasts characters from your kids’ favorite Disney movies, it covers all the Marvel Comics and Star Wars characters, too! There is a movie and a character for everyone. If you are skeptical about an app actually making a difference, spend a few minutes reading through the reviews on the iTunes store. Parents are raving about the Disney Magic Timer application. The app is so popular with the kiddos that fights might break out. “My 3 and 5-year-old are now fighting over who gets to brush first since we started using this timer,” exclaims a parent who gave the app a rating of five stars. Aquafresh Brush Time USA (iOS | Android) is another app that takes away the challenge of making sure your kids brush their teeth. Both apps have a timer that counts down for two minutes, which may seem like a lifetime to a busy adult, but in reality is the recommended brushing time by dentists. The point of these apps, with their catchy songs and attention-grabbing graphics, is to make brushing feel like a game. Kids want to play games. It’s what they do. Any chore can be turned into a game, race, contest, competition, etc. If you are dealing with a stubborn child who won’t go near the bathroom for brushing time, try one of the many apps available and see what happens. If anyone knows how to make brushing your teeth fun and enjoyable for children, it’s Dr. Emery. With three kids of her own, Dr. Emery is well versed in the tricks of the trade. Having a dentist as their mother, Dr. Emery’s two daughters and son are practically experts in proper oral hygiene and are able to pass on their good habits to their friends. Call us at (773) 883-1818 or email us if you need some parental advice when it comes to the battle of the brush. Instead of issues with reluctance or downright refusal, we can help you turn things around so that the real problem might be getting your child to stop brushing. Imagine that!